Yes! 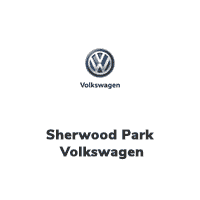 Please sign me up to receive e-mails and other communications from Sherwood Park Volkswagen. And please send me information on products, promotions and other related information. DEMOThis Volkswagen Passat boasts a Intercooled Turbo Regular Unleaded I-4 2.0 L/121 engine powering this Automatic transmission. URANO GRAY, TITAN BLACK, LOANA CLOTH SEAT TRIM, Wireless Streaming.This Volkswagen Passat Features the Following Options Window Grid Diversity Antenna, Wheels: 16 Carolina Alloy, Wheels w/Silver Accents, Variable Intermittent Wipers w/Heated Jets, Valet Function, Trunk Rear Cargo Access, Trip Computer, Transmission: 6-Speed Automatic w/ Tiptronic, Transmission w/Driver Selectable Mode, Tires: 215/60R16 AS.Stop By Today Stop by Sherwood Park Volkswagen located at 2365 BROADMOOR BLVD, SHERWOOD PARK, AB T8H 1N1 for a quick visit and a great vehicle! This Volkswagen Passat delivers a Intercooled Turbo Regular Unleaded I-4 2.0 L/121 engine powering this Automatic transmission. Wireless Streaming, Window Grid Diversity Antenna, Wheels: 18 Chattanooga Alloy. This Volkswagen Passat Comes Equipped with These Options Wheels w/Silver Accents, Vienna Leather Seat Trim, Valet Function, Trunk Rear Cargo Access, Trip Computer, Transmission: 6-Speed Automatic w/ Tiptronic, Transmission w/Driver Selectable Mode, Tires: 235/45R18 AS, Tailgate/Rear Door Lock Included w/Power Door Locks, Strut Front Suspension w/Coil Springs. Stop By Today For a must-own Volkswagen Passat come see us at Sherwood Park Volkswagen, 2365 BROADMOOR BLVD, SHERWOOD PARK, AB T8H 1N1. Just minutes away! This Volkswagen Passat delivers a Intercooled Turbo Regular Unleaded I-4 1.8 L/110 engine powering this Automatic transmission. TITAN BLACK, VIENNA LEATHER SEAT TRIM, R-LINE PACKAGE -inc: R-Line Exterior Badging, Vanadium Grey Interior Decor, Paddle Shifters, R-Line Aluminum Door Sills, R-Line Aluminum Pedals, Wheels: 19 Salvador Alloy, Tires: 19 AS, R-Line Exterior Design Package, front bumpers, side skirts and rear diffuser, Removes front fog lights, PURE WHITE. This Volkswagen Passat Features the Following Options DRIVER ASSISTANCE PACKAGE -inc: Adaptive Cruise Control, Park Assist w/Park Distance Control (PDC), Lane Assist , Window Grid Diversity Antenna, Wheels: 18 Chattanooga Alloy, Wheels w/Silver Accents, Valet Function, Trunk Rear Cargo Access, Trip Computer, Transmission: 6-Speed Automatic w/ Tiptronic, Transmission w/Driver Selectable Mode, Tires: P235/45R18 H AS. Stop By Today You've earned this- stop by Sherwood Park Volkswagen located at 2365 BROADMOOR BLVD, SHERWOOD PARK, AB T8H 1N1 to make this car yours today!